I’ve pretty much devoted my professional life to dairy farming. I grew up on a dairy farm in Cache Valley, the dairy capital of Utah where cheese and other fine dairy products are made. By the time I was six, I was milking cows by hand morning and night. By age ten, I had even made a small fortune by purchasing sickly calves from neighboring farms and returning them back to health. Of course, back then, I had a secret weapon. You see, at the time, the value of colostrum as a healing agent had gone largely unrecognized by the dairy industry. But on our farm, we had already seen firsthand how colostrum—nature’s first food—could be a powerful natural healer, replete with multitudes of immune factors, growth factors, amino acids and other irreplaceable health-giving nutrients. Not surprisingly, I rarely lost a calf once it began receiving colostrum. Today, we know colostrum is a powerful anti-aging compound that can be used by anyone for increased energy and longevity. In particular, colostrum can perk up an underactive immune system and normalize one that is overactive, as in cases of autoimmune disease (e.g., rheumatoid arthritis, lupus, multiple sclerosis). Athletes, especially endurance athletes, also benefit from colostrum. We know this to be so from the many human clinical studies that have been conducted at prestigious institutions worldwide. These studies unequivocally validate the health promoting benefits of colostrum. But, why is it some consumers come away so satisfied from the results they receive from use of colostrum and others are left to question its benefits? I believe the reason has everything to do with the quality of the product that consumers choose to use. At Anovite, we specialize in colostrum, and we sell colostrum products for both human and veterinary use. Having spoken with thousands of colostrum consumers and health professionals over the years, I have come to see how difficult it is for consumers to determine if colostrum products they purchasing are built upon a base of quality. Not all colostrum products are created equal. Buying colostrum is not like buying vitamin C where almost any brand will deliver proven benefits. There are true differences between products, and understanding more about what goes into making a quality colostrum product will help you to find the very best product for your needs. You will find quality colostrum formulas deliver tremendous health benefits. But only when you learn how to select a quality formula. Here are seven keys for making sure your product is top-flight quality. You see, true colostrum is taken during the first 12 hours following birth. In fact, Cornell University researchers not only confirm that true colostrum products must come within the first 12 hours—but such products can be easily identified scientifically. 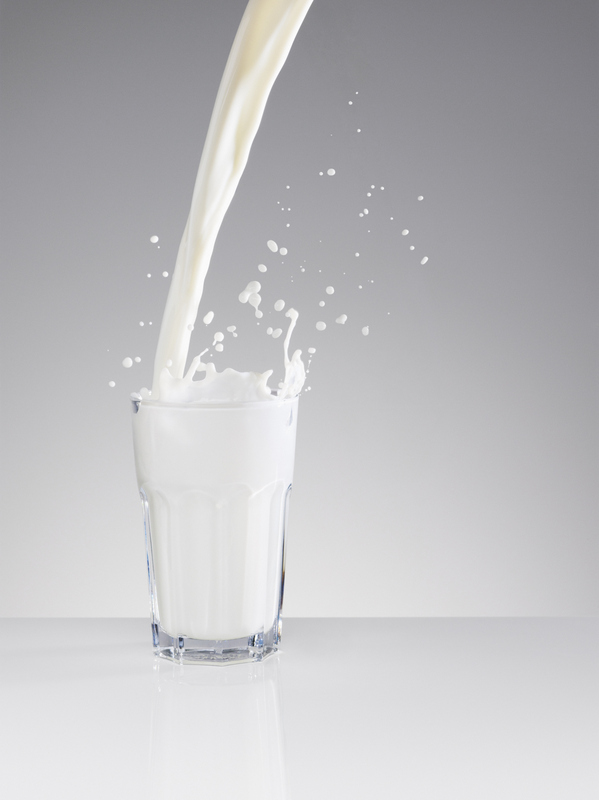 When products are taken after the first 12 hours, the lactose content rises dramatically and the fat content changes. You lose many all-important growth and immune factors. Many colostrum powders today are taken up to 72 hours following birth of the calf. With this length of time in gathering the product, you won’t be buying a true colostrum, but, rather, transitional milk. Unfortunately, there is no legal definition to tell consumers which brands are true first-milking colostrum products. Nor does the government require labels to disclose whether your product is a first-milking colostrum. I encourage consumers to ask questions of the manufacturer supplying their colostrum. Certainly, at Anovite, it is in our interest to encourage consumer interest in quality issues, since ours is a true first-milking product. Ask your manufacturer the time frame from which their colostrum was taken. Was it 12 hours or less? But, beware of semantic tricks. 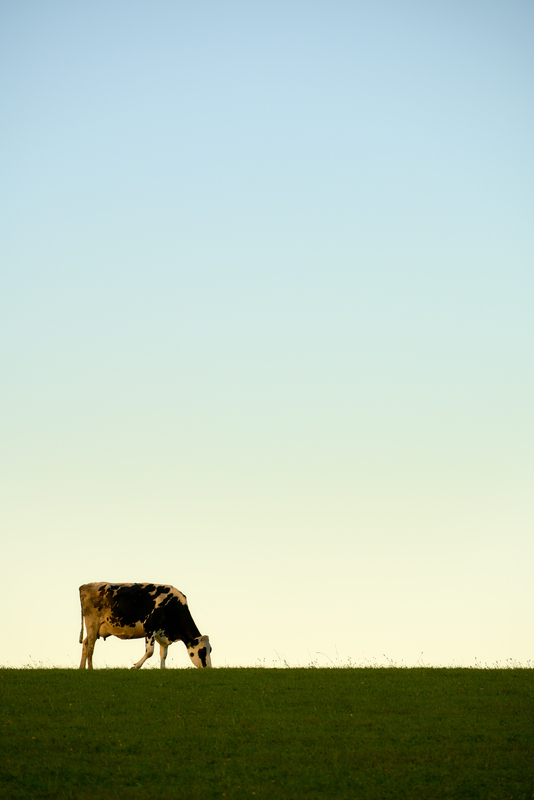 What does first milking really mean? In some countries, dairy farmers allow their newborn calves to suckle. It is the calf that is receiving the first-milking colostrum. Colostrum coming from these countries is not taken for human use until two to three days after birth. The distributor of such products may claim this is a first milking product since it was the first milking (after the calf suckled)—but nevertheless this is not colostrum. It is transition milk. By the way, the issue of suckling is important from the viewpoint of animal welfare. In the United States, dairy calves do not suckle their mother’s colostrum. Dairy farmers have found the amount of pathogenic bacteria on the udders of cows actually impairs the growth of the calves. So, U.S. farmers provide colostrum in a bottle. This helps the calves to grow faster and avoid infections. Certainly, the dairy farmers who produce colostrum for Anovite—and I know many of them personally—care a great deal about their calves. They take great care of their “friends,” but have simply found bottled colostrum works better for calves. This is why U.S. colostrum is more likely than some imported brands to be a first-milking product in the true sense. Buy Whole-fat Colostrum The fat content of colostrum products is critical. Beta-lipids and essential fatty acids are naturally found in colostrum. Why do some producers take these out only to add them back in later? The New Zealand dairy board encourages producers to skim colostrum so they may sell the fat-soluble vitamins and other fat-soluble ingredients separately, increasing their profits. Even so, some companies sell skimmed colostrum and call this high protein or immunolgobulin-concentrated colostrum. While I understand the allure of the profitability of the fat-soluble ingredients in colostrum, at Anovite we believe it is deceptive to sell such products. You see, fat acts as a barrier and protects the vital fragile constituents in colostrum product when it is spray dried. But, when you spray dry a product with the fat removed, the heat denatures the product and reduces the biological activity of the immunoglobulins by about half. The fat also provides fat-soluble vitamins and essential amino acids. If you remove the fat from a product, you remove about 35 percent of insulin-like growth factor-I, one of the major growth factors in colostrum. How can you tell if the fat has been taken out? Look at the supplement facts on product labels. Some products list zero fat. In a society that suffers from unwarranted fat phobia, this may be an appealing marketing gimmick. But I believe it is indicative of an inferior product. Avoid Homogenized Products All freshly produced colostrum contains bacteria. We pasteurize colostrum to kill off the harmful bacteria. But we do not homogenize our product. This is not only a matter of philosophy but of science. Homogenization may be defined as a process wherein you reduce the particles of the milk product so that they are uniformly small and evenly distributed, specifically breaking up the fat globules into very fine particles. We want to provide colostrum much as Mother Nature intended, and we don’t think homogenization fits in with this philosophy. From a scientific viewpoint, homogenization alters molecules and damages others, so consumers do not receive the full benefits of a natural colostrum. Prefer Products from Cows with Low Somatic Cell Counts Every country’s dairy industry must conform to a standard for somatic cell counts, which are indicative of a diseased or healthy cow. On the one hand, we want our cows to be exposed to a variety of microorganisms, so they build up all-important antibodies that can then be transferred to our bodies and help to fortify our own immune defenses. But, somatic cell count is indicative of how much disease a cow is carrying around. It is not necessarily indicative of more antibodies but may indicate that the cow was diseased and unable to muster the necessary defenses to ward off illness. High levels are considered abnormal and may render milk unsafe for humans. One good thing about American colostrum is that the U.S. somatic cell count levels are quite low compared to other countries. The European Union Milk Hygiene Directive limits this level to a count of no more than 400,000 in pooled milk, which is the currently proposed reduced standard level in the United States being recommended by the National Mastitis Council and supported by the American Dairy Association, among others. Other countries have much higher tolerances. The New Zealand Dairy Board notes that country’s colostrum has “. . . an average somatic cell count of 1,324,000.” In 1967, the International Dairy Federation set a standard stipulating that milk having a somatic cell count (SCC) higher than 500,000 was indicative of an infection of the udder with pathogenic microorganisms (mastitis) and that the milk should not be sold for human consumption. Remember, all colostrum products are pasteurized and therefore safe, so you do need to worry about infectious illness. But the somatic cell count may indicate reduced immune function in these herds. Ask your colostrum distributor for the somatic cell count of their product. Again, at Anovite, since we are a primary producer of colostrum in the United States, we can provide this information and do so willingly. Avoid Filtrated Products When colostrum is filtrated, this is done for one specific group of compounds, but you lose others that are left behind. So, if you filtrate for specific immunoglobulins, you have filtrated out other components and are limiting important immune components, as well as growth factors, vitamins, minerals and other important constituents found in colostrum. Look for Third-party Independent Analyses Demand third party independent analysis of your colostrum product. Most companies will offer a certificate of analysis done by the supplier—but these usually provide very general information and do not provide information on the percentage of immune factors, growth factors or amino acids. At Anovite, we spend a fortune on having our products constantly analyzed. We utilize MTVL Laboratories, located in Minnesota, the heart of the dairy country. Most companies sell colostrum without knowing anything in detail about their own products. Testing is where we shine above and beyond everyone. We go to great lengths to test for growth and immune factors. That is because our company sells different grades of colostrum for different purposes. We reserve our best colostrum for the Anovite label and sell other colostrum products for other purposes. But, you would be surprised at how often companies come to us for inferior colostrum products at a predetermined price just so that they can offer one in their product line. Prefer Companies that Specialize in Colostrum With a product as complex as colostrum, there is a big opportunity for providing consumers with inferior product without even knowing you are doing so. I talk to distributors everyday who don’t know who I am or my background. They tell me things like how consumers should prefer a filtrated product standardized for high growth or immune factor content. When I ask about the other molecules, they tell me that all consumers need are the growth factors or immunoglobulins they are offering in their product. I ask them whether leaving out so many other compounds (such as immunoglobulins, lactoferrin, interleukin, interferon, oligosaccharides, and glycolipids to name a few key constituents) makes their product something other than colostrum. The reply is that consumers just need the growth factors or the immunoglobulins. These constituents, while important, are a very small piece of the puzzle that makes colostrum a dynamic product. These distributors may be well intentioned. But they usually do not know colostrum. Such products may also be inferior in many others way, some of which I have detailed already. Inexperienced distributors also often rely too much on fillers and additives. One company sells a product that is suppose to be concentrated for lactoferrin, an important immune factor that helps the body to starve bacteria. But, if you look at the tablet, it has dextrose, silicon dioxide, magnesium stearate, and only 150 milligrams of colostrum; you get very little colostrum. Since we specialize in colostrum and know how to handle it with our processing, we don’t need fillers or anti-caking agents in our product. That’s why our capsules supply so much more colostrum and have no additives. Also, many companies use heat in processing their tablets. That’s why a number of people say that you can’t get an effective colostrum product when it is tableted or a chewable. And they’re right. Low-heat can destroy some of the active ingredients. Anovite, however, is a cold-pressed tablet. Even our children’s chewables are cold pressed. As long as you use a cold-pressed tablet, you don’t lose biological activity. But, again, that is something you have to ask your manufacturer. These are just some of the important issues consumers seeking quality colostrum products need to know about. Keep in mind that colostrum has become very popular and a lot of companies selling colostrum are really only distributors who are, in essence, simply marketers riding upon the coattails of colostrum science—but their products are not based on true science. The science of colostrum has thousands of articles, but these findings are based on whole colostrum, like that at Anovite—products that are not defatted, filtrated products or that are two or three day old transitional milk. True colostrum gives you the best overall benefits. Without the real thing, you have no science behind your product. At Anovite, we have the science few other companies can generate.